We recently visited our surgeon in San Antonio and he and his colleagues were amazing by our Bella’s vocabulary. He said that she was more advanced than other patients around her age. He quickly asked me what school she attended since that had to be what was helping. I let him know that Hope Therapy in McAllen was who was behind this. You see I had hoped to hear my child speak and communicate with me one day. Hope therapy fulfilled that one dream I had for our daughter. They are like family who helped and gave us the tools we needed and created a team for us. The support we have received here is outstanding. I am so happy with her results! The happiest day of my life was the day I finally got my hearing aids. I remember telling my Mom that I could hear the birds talk. It was funny how something that most people don’t even care about meant so much to me. I also remember that my voice sounded very loud but then I got used to wearing the hearing aids. I was so excited to be able to hear again without having to try so much. I hated always asking people to say things again. 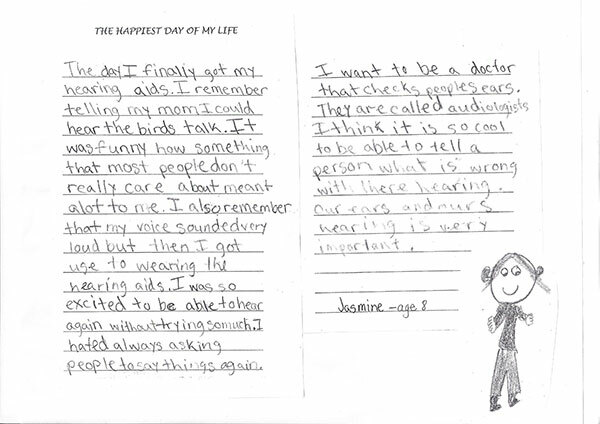 I want to be an audiologist when I grow up. I think it is so cool to be able to tell a person what is wrong with their hearing. Our ears and our hearing are very important. Our experience with Hope Therapy Center has been wonderful! Dalyn would not be where he is today without the hard work, dedication and compassion of Nina and the entire Hope staff. We are extremely fortunate to have Nina as Dalyn’s speech therapist. She is proactive about establishing measurable goals for Dalyn and keeping us updated on his progress. She also provides us with techniques and strategies to use with Dalyn at home. We owe his tremendous progress to Nina and everyone at Hope. Thank you so much for all that you have done for our baby girl! We are so thankful to have met you and this wonderful therapy place. You have brought happiness into our lives but most importantly, you’ve given us HOPE! May God bless you always. Hope Therapy Center is an excellent place to rehabilitate children with hearing loss. As an observer, I have seen how their therapists have a strong passion for improving their patients’ quality of life. They are very caring and understanding with each child. As a person who wears hearing aids, I highly recommend their services to parents of deaf or hard of hearing children. Hope Therapy has turned our family’s hopes and dreams into reality. Our 3 year old daughter, Aria, has been with Hope Therapy since she was 3 months old, before she received her cochlear implants at 12 months old. Since then, Hope Therapy has been the bridge to communication for our family. Through teamwork, awareness, and dedication, Hope Therapy has helped us reach the goals we’ve set for our daughter. 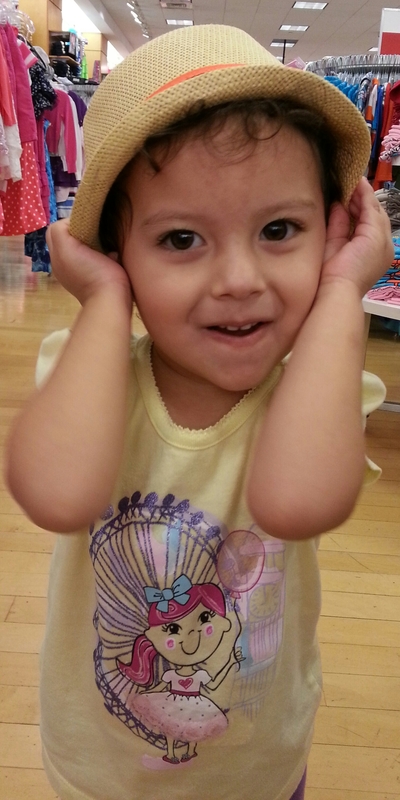 Aria continues to attend Hope Therapy and now attends a mainstream private preschool with normal hearing kids. She loves to sing nursery rhymes, the alphabet, and can count to twenty! Hope Therapy has taught my son, and even myself, a lot about how to cope with hearing loss and how to communicate with one another. They gave me hope that my son would at some time begin to talk. And the first time I heard my son say ‘Mom’, I was overcome with joy. It is the little things in life that we take for granted that are often most precious. I know we have a long road ahead of us, but I also know Hope Therapy will be right there along the way. I have a daughter with profound hearing loss. 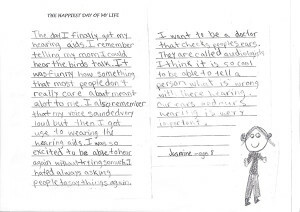 We decided to get her an ear implant about a year ago, and since then, many have recommended we go to Hope Therapy Center. Today, after just one year, my daughter has had an amazing breakthrough! 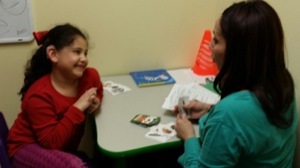 The therapists at Hope have extensive experience in treating children with language problems. 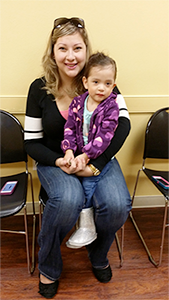 My daughter has received excellent treatment and service with great results. I deeply appreciate your support to move forward with my daughter, Adriana.